Imagine you’re hopping onto an elevator, you press the 10th floor button, and up it goes. Yet, it stops at the 3rd floor, the doors open, and in walks your ideal customer (or even investor or affiliate). Yup, the one you’d fanboy over at the mere thought of them showing interest in what it is you have to offer. Now, you’re left with a matter of seconds to win them over and share all you need to share about your product before they hop off. So, what would you say? Many freeze when given this kind of opportunity and blow their chances at any shot to get them onboard. No bueno. While you likely won’t be mingling with them during a random chance elevator encounter, you’ll most definitely face similar situations—conferences, meetings, and so much more—where you have a matter of seconds to spark their interest in your product. And, this is where crafting an elevator pitch comes into play. Yet, you’re lost on where to even begin. And, that’s perfectly okay because, today, we’re giving you a how-to on crafting your very own elevator pitch for your offering. A killer one to say the least. Okay, why should you care about crafting an elevator pitch in the first place? Simply put, your elevator pitch is your opportunity to condense all that’s good about your product into a short amount of time. Thus, triggering your listener’s curiosity and making them want to know more. Sell directly to customers at events. Guide your copywriting and personal branding. Pitch to affiliates and industry influencers to open up strategic partnerships. And, explain what it is you do to your confused friends and family. 1. Kick things off with something other than who you are. Let’s be honest. Starting your pitch off with the traditional: “Hi, my name is _____!” is so overused. And, if you were on an elevator—as the title suggests—you wouldn’t kick off a conversation in that manner. When you use one of these “pick-up” lines, you’ll be chatting away in no time. 2. Define a problem to open up discussion for your product. Well, you got the conversation started. That’s one of the most difficult parts! But, how do you naturally open up a discussion for your product? By taking TheBalance.com’s approach: Define a problem your product solves. What’s the purpose of this? You illustrate a problem that already exists among your target audience. Thus, leading you into a discussion about the solution: your product. 3. Lay out your solution—your product. Once you’ve laid out the problem, present your product as the ultimate solution for your target audience. Will it save them time? Money? Free them from fear, worry, or stress? When you use similar phrases to present your offer as a solution to your customer’s biggest headaches, you illustrate the fact that it’s something people need and are hungry for. Thus, making it that much easier for you to get what you want out of your pitch down the line—whether it’s new business, new investors, better copy; you name it. 4. Toss in your unique selling proposition (USP). You’re bound to be up against competition, no matter what industry you’re in. So, instead of pretending you have no other brands to compete against, quickly acknowledge them in your pitch. And, no, I’m not giving you free reign to bad mouth them and toss their names out there. Simply share a current substitute for your product, which will set you up to share what makes you stand apart from them—your differentiator, or USP. According to Inc.com, a strong differentiator is made up of an actual fact that’s independently measurable—rather than a disputable claim and your opinion. Basically, these should never ever be based on YOUR emotions. To put it bluntly, the listener doesn’t care about those. See the difference? When you say something that’s unique about your product that can be proven, you give the listener a reason to jump onboard with you. 5. Close with a question & pinpoint your verbal CTA. As you approach the end of your pitch, what is it you want to happen next? Closing the sale? Reason being, you don’t want to scare your listener off—it’s way too soon for that. 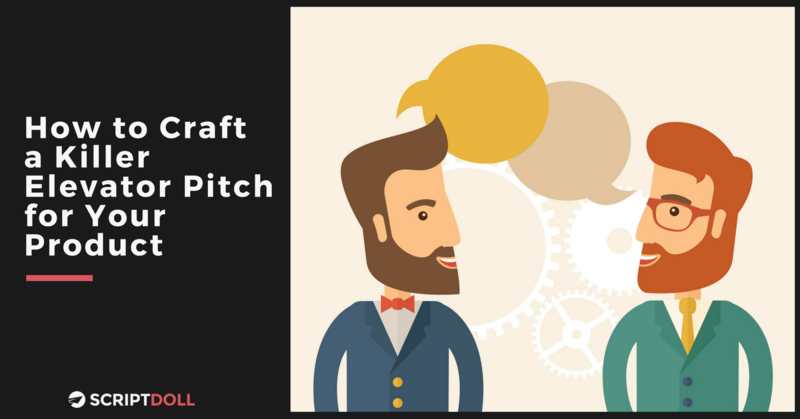 You actually want your pitch to be a natural (and real) business conversation. So, instead, if they aren’t an actual ideal customer, ask them the following question: Do you know any [Target Audience] who’d be interested in a product such as mine? An example would be: Do you know any small business owners who’d be interested in a product such as mine? And, if they do happen to be an ideal customer, ask them if they’d be interested in learning more via a sales demo. If you get a YES, according to none other than marketing guru Seth Godin, focus on getting a meeting with them on the schedule. What’s the reason for a meeting when you could just have it right then and there? It ensures you get your product in front of more people who matter. As long as you pitched your product strong, using the tips shared today, there’s a good chance you’ll get that meeting. It’s always nice to have a solid idea of what you would say when given the opportunity to pitch your product. But, the last thing you want to do is make it feel over-rehearsed to the person on the receiving end of the conversation. The best elevator pitch is true, stunning, brief, and it leaves the listener eager (no, desperate) to hear the rest of it. It’s not a practiced, polished turd of prose that pleases everyone on the board and your marketing team, it’s a little fractal of the entire story, something real. Well said. And, that basically wraps things up here in a neat little bow. Practice makes perfect, but don’t go overboard. Jump in front of a mirror and read your pitch aloud while monitoring your body language, enough to where you’ll feel relaxed and non-robotic when it’s time for the real deal. So, how do you ensure you get in all you need to say before the “elevator door” opens? 30-seconds or less. That translates into about 70 words. Not bad at all! You’ve got this. Go on and get those doors opening for new opportunities! We want to know—do you already have an elevator pitch for your product? How’s it working for you? Share it with us in the comments section below.